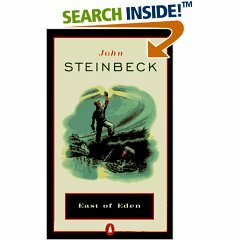 John Steinbeck’s “East of Eden” is a fascinating book that traces out story of two generations of two families whose lives are somehow interlinked. We can say that its by chance rather than design. Their lives are correlated to land and nature as was the norm in those times and even now we can see that in our world. In that way nothing has changed in all those years. The rebuilding of the man in the face of adversity, the tenacity of mind and body, mind eternally seeking and questioning, trying to find answers for his faith and belief and in some case just acceptance. Are we not all questing to find answers about ourselves, our convictions or about the paradox called life? It has well etched characters….so well that we can identify with them. LISA: Somehow she made a great impression in my mind. Loaded with faith, belief, practicality and hard work, she knew how to look after her large family. She with her no frills, no nonsense attitude reminds me of the matriarchs of our own land. As long as there is plenty of food on the table, other things did not bother her. She kept her family together and accepted life and death, as they should be. CAL and ARON: of the twins Cal is more interesting. He behaves like any other sibling in the circumstances where he knows that his brother is more loved and favoured. Just one look at Aron, everyone loves him but Cal has to fight for it. Most of us have gone through these phases in some way or the other. So we can identify with him. Best thing about Cal is, he knows what he does is wrong but in his jealousy he does not realize it. It comes later after the deed is done. He has deep love for his father and his twin, Aron. He does not hate his mother either. He is simply indifferent towards her. Aron lives in a world of his own. Where everything is perfect. Only goodness and brightness prevails. Even the girl he loves is perfect in his eyes with no flaws. He cannot accept imperfection. He cannot accept that his mother is a whore. He seeks escape the only way he knows by joining the army. CATHY/KATE: Much has been written about her. She being evil, a monster, what drove her to it no one knows. But we do see flashes of loneliness. I think even she was not aware of those. In her world, there is no place for any one other than herself…no one and nothing. She is beyond redemption. 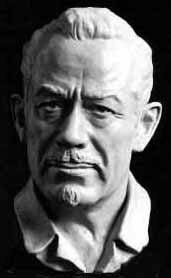 Like in this timeless novel, East of Eden, we can still find people just like those. We have Sams, Lees, Adams, Charles, Lisas, Toms, Cals, Arons and above all Cathys amongst us. Good and evil have to coexist or how do we distinguish one from the other. If there is GOD, there is SATAN too. I finished reading yet another book about the holy grail. It seems to be one of the favourite topic for most writers. Coming after The Da Vinci Code by Dan Brown, this book holds on its own. This is Kate Mosse's third novel.